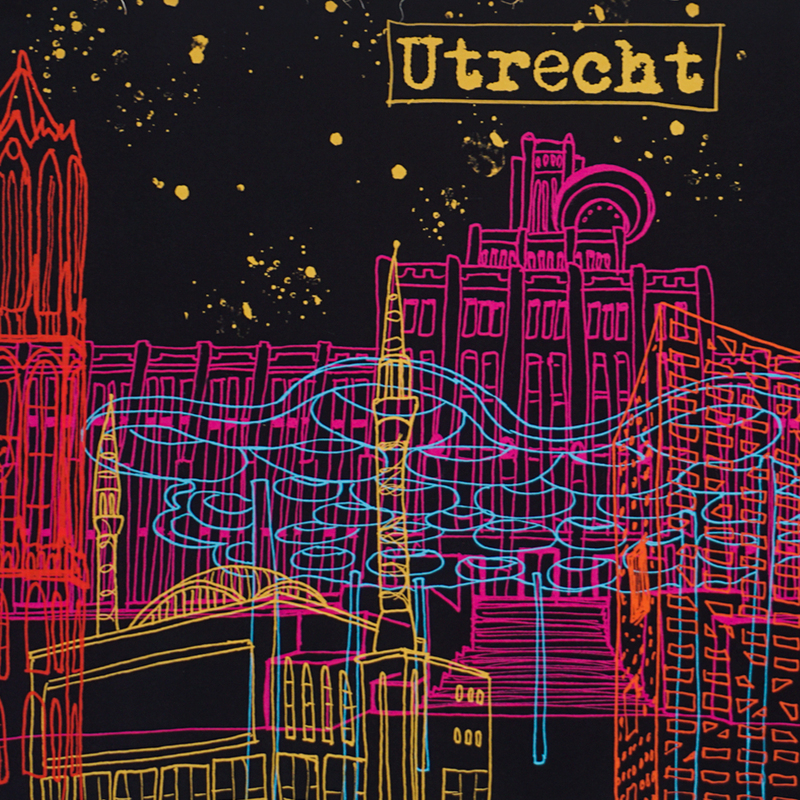 Poster / Print of Utrecht. 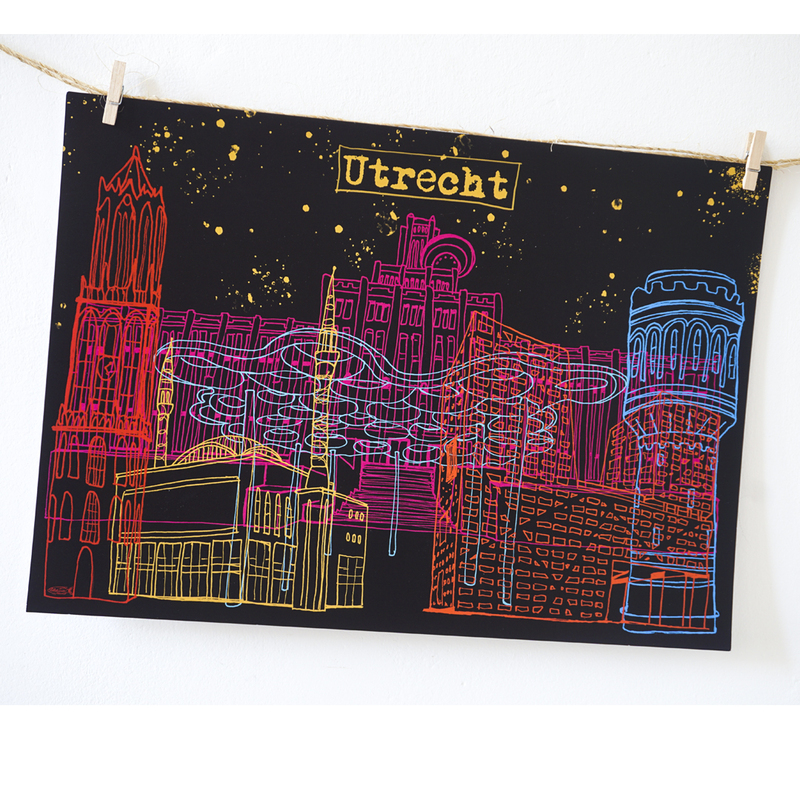 On the poster you see the domtoren, moskee, inktpot, bollendak, watertoren en stadskantoor. Perfect for in a living or sleeping room or as a present to your partner, yourself or friends. 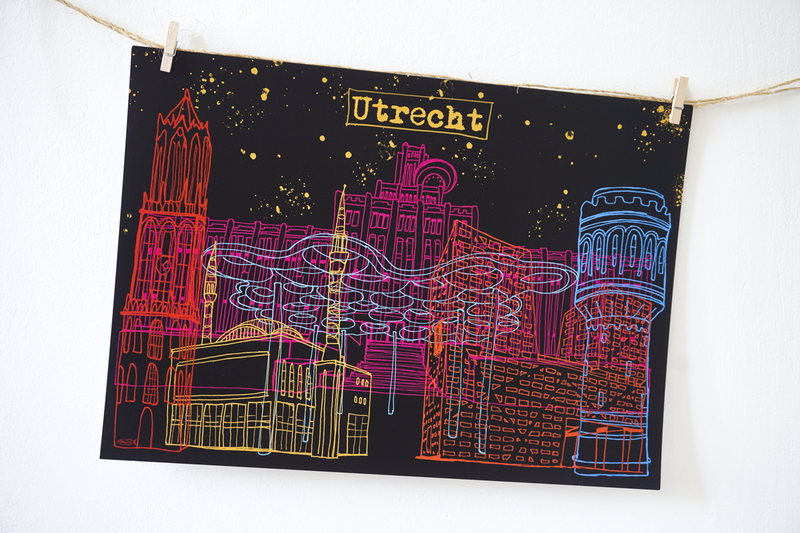 Dare to give color to your environment and love Utrecht like I do! Do you want to order the print? You can find the print in my Etsy shop. The print is printed on professional paper, 250 grams. A3 format – (29.7 x 42 cm) designed to fit in IKEA or other frames, or of course, just to hang on the wall.